Steamed rice is considered to be a very simple recipe, still the quality and texture of steamed rice can vary greatly depending on your cooking method and type of rice. Ideally, in steamed rice, we want each grain to be separate, soft and cooked perfectly. Rice grains should be fluffed, soft and not stick to each other. 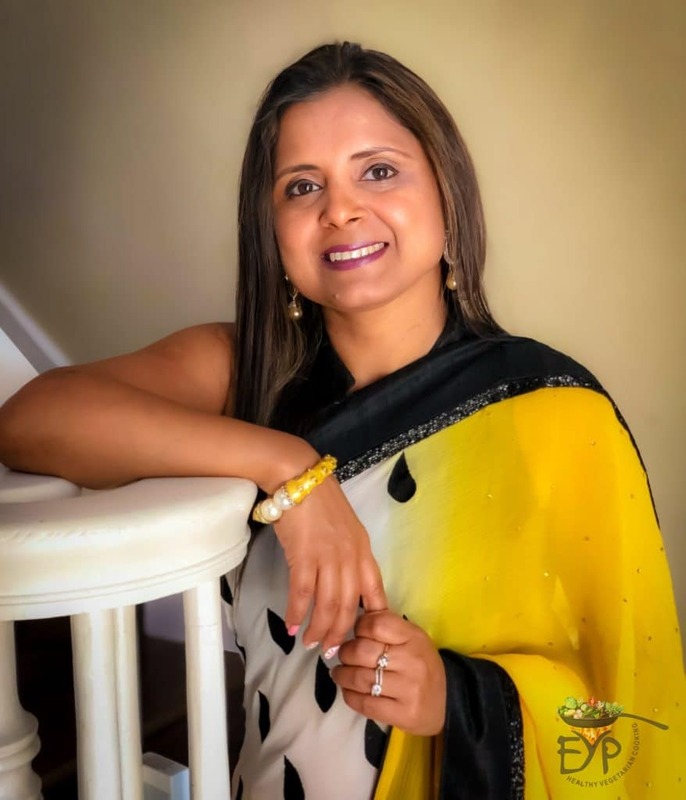 I have seen recipes online that use Instant pot, pressure cooker and stove top methods. I personally do not use the pressure cooker method and have always used stove. Now, since I got the IP, I have started using IP as well. 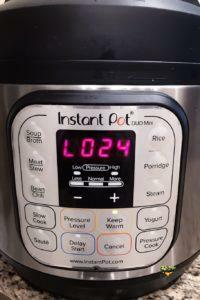 Most Instan Pots have a rice mode also, but over here I show how o do it without using that mode. i like to have more control on the settings. I like the convenience of being able to put the timer and walking away. In terms of rice variety, I use brown and white long grain basmati rice only. There are several brand of basmati rice available in the market. I personally like India Gate classic, which come in a golden and maroon packing. Be cautious as Indian gate rice is also available in jute packing, but that is a different variety, which is a little lower grade of basmati. 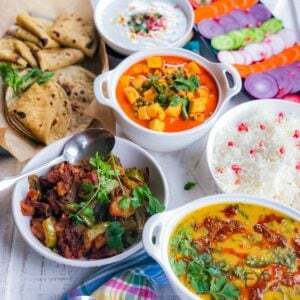 This recipe can also be a part of our Indian Culinary Experience, when you join it. 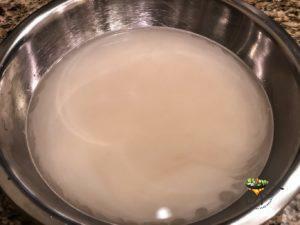 Water – Quantity varies based on the cooking method and type of rice. See below in method. First wash the rice with at least 4 or 5 extracts of water. 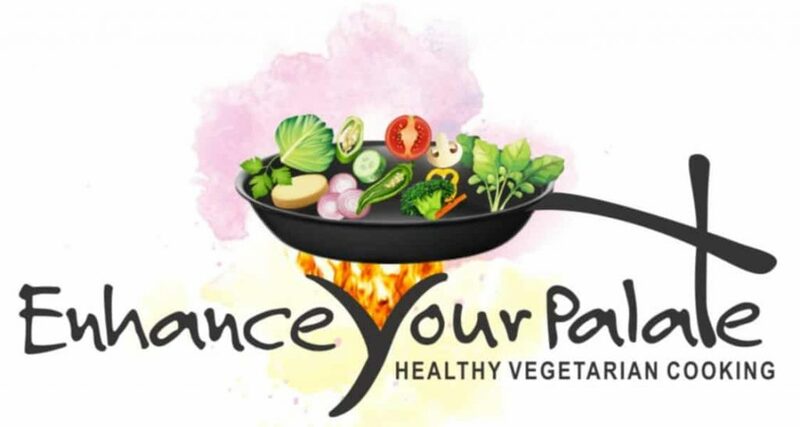 This step is important to remove all the husk, powder and other impurities from dry rice. Don’t rub the rice hard while washing, use a soft hand to rub the rice. Otherwise grains will break. Let it soak for 20 to 30 minutes in cold water. Always use cold water to wash and soak the rice as hot water will crack the rice. Drain the soak water out. 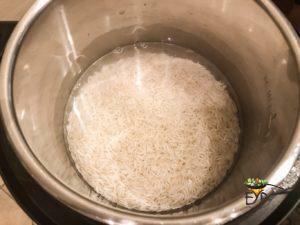 Transfer the rice into Instant Pot bowl. 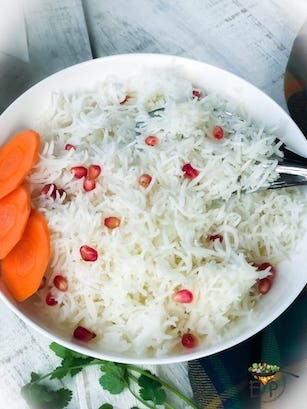 For white basmati rice, using the same measurement which you used to take the rice add 1.25 times water compared to rice volume. Using the same measurement is very important, don’t switch cups. Add salt and ghee and put the lid back on, locked for high pressure cooking. Set IP for 6 minutes pressure cook at high pressure. Pressure valve should be at sealing position. Once 6 minutes are over, let it naturally release the pressure. It takes about 24 minutes to naturally release the pressure. 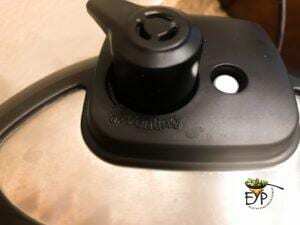 When pressure pin goes down, open the lid, fluff it with a light hand using a spatula and transfer it to a serving bowl. 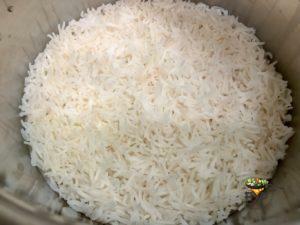 Put white basmati rice with water in 1:2 ratio in a pot. 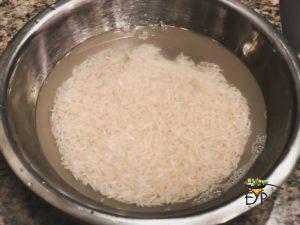 Add salt and cook on medium low heat for 15 to 20 minutes or until 3/4 water is absorbed by the rice. At this point, add ghee and switch off the heat. Cover it and let it sit for few minutes. The steam will continue cooking the rice further. After 10 to 15 minutes, fluff rice with a light hand using spatula and transfer to serving bowl. Steamed rice is considered to be a very simple recipe, still the quality of steamed rice can vary greatly depending on your cooking method and type of rice. Ideally, in steamed rice, we want each grain to be seprate, soft and cooked perfectly. Rice grains should be fluffed, soft and not stick to each other. 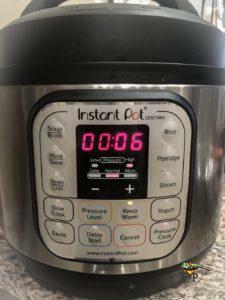 I have seen recips online that use Instant pot, pressure cooker and stove top methods. I personally do not use the pressure cooker method and have always used stove. Now, i have started using IP as well, since I got it. I like the conveneince of being able to put the timer and walking away. 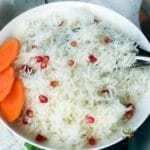 In terms of rice variety, I use brown and white long grain basmati rice only. 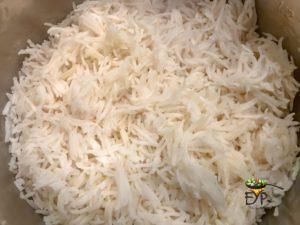 There are several brand of basmati rice avaiable in the market. I personally like India Glate classic, which come in a golden and mahroon packing. Be cautious and Indian gate rice is also available in jute packing, but that is a different vaiety, which is a little lower grade of basmati. Water Quantity varies based on the cooking method and type of rice. See below in method. First wash the rice with atelast 4 or 5 extracts of water. 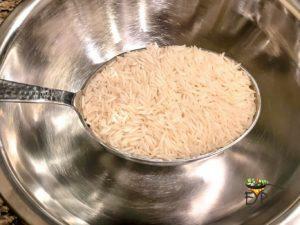 This step is important to remove all the husk, powder and other impurities from dry rice. Don't rub the rice hard while washing, use a soft hand to rub the rice. Otherwise grains will break. 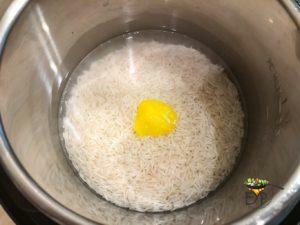 For white baskati rice, using the same measurment which you used to take the rice add 1.25 times water compared to rice volume. Using the same measurment is very important, don't switch cups. Set IP for 6 minutes pressure cook at high pressure. Once 6 minutes are over, let it naturally release the pressure. Open the lid, fluff it with a light hand using a spatula and transfer it to a serving bowl. Put rice with water in 1:2 ratio in a pot. Add salt and cook on medium low heat for 15 to 20 minutes or untll 3/4 water is absorbed by the rice. After 10 to 15 minutes, fluffthe rice with a light hand using spatula and transfer to serving bowl. Hope these tips help you get your steamed rice even more perfect. Wondering, what to cook this rice with? I used it as part of the casual family meal ideas.